Mavuso Magabane (formerly known as Meshack Mavuso) is a South African actor best known for his starring television roles as Javas in Yizo Yizo and as Vusi Moletsane in Isidingo. He also played the role of Simiso Mtshali in the second and third seasons of the SABC2 police procedural series Zero Tolerance, having previously played a different character in the first season. He was one of the celebrity dancers in the Strictly Come Dancing New Year Special, which aired on SABC2 on 31 December, 2008. His dance partner was Robynn Soules. Mavuso was one of the featured celebrities on the first season of the South African version of the genealogy documentary series Who Do You Think You Are? (based on the British series of the same name), which aired on SABC2 in 2009. He returned to television in 2014 when he guest starred in two episodes of the SABC1 AIDS drama Soul City, playing a doctor. Having previously been credited throughout his career as Meshack Mavuso, the first time he was credited as Mavuso Magabane was in 2015, when he guest starred in an episode of the Mzansi Magic soapie Zabalaza. 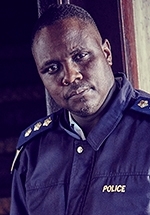 In 2016 Mavuso landed his first starring role since his Isidingo contract expired in the e.tv robbery drama Heist, playing the role of Chairperson - the police commander who makes it his mission to catch the gang.